Floods on Dry Ground is a book on the Hebrides Awakening. This is part two of the book by Jessica Meldrum which focuses on the life of Duncan Campbell, the primary evangelist used in this revival. His life and sermons will challenge those seeking to know the keys to genuine revival. 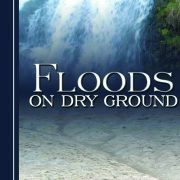 Floods on Dry Ground is a book on the Hebrides Awakening. This is part one of the book by Jessica Meldrum. When God stepped down from heaven in 1949 the things of earth took second place. The glory of God was revealed and the lives of people were transformed. This is a powerful, soul-stirring book on an authentic revival. This sermon by Glenn Meldrum comes out of Revelation 12 verses 11 and 17. He effectively lays out the spiritual battle that Christians face and some of the foremost reasons why Christians live defeated lives. He then unfolds the means of victory that is freely available to any believer that is willing to fight this good fight of faith. Pastors requesting information about IHP Ministries receive this message as an introduction to Glenn Meldrum’s ministry. The glorious mystery of the indwelling Christ is the subject of this sermon by Glenn Meldrum. You will laugh and cry as you listen to this dynamic message. Most importantly, you will learn how to let Christ be unveiled in you. Jesus did not found a defeated faith. Yet the faith He calls us to live is impossible unless He lives in and through us. What a privilege that Jesus would make His home in the hearts of repentant sinners. This sermon comes out of Psalms 144:1-5. Glenn addresses the fact that every Christian is in a spiritual war whether they like it or not. We will either live the victorious Christian life or that of a defeated individual. In this message you will learn how to walk in the victory Jesus purchased for us and that David poetically portrays. 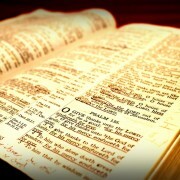 King Josiah’s reformation is the topic of Glenn’s sermon. In this message you will learn what brought revival to Judah in the days of this godly king. The reason is clear and if we will learn from this historical revival we can prepare the way for God to bring revival to us. This is not a message for those who want a lukewarm faith. But for those who yearn for an outpouring of the Holy Spirit there are some wonderful truths presented here for your gleaning and fruitful application. Duncan Campbell was the evangelist of the Hebrides Awakening, which are islands off the coast of Scotland. He gives eyewitness testimony to the profound outpouring of the Holy Spirit and outlines how the revival came into being. This sermon is powerful, soul stirring and provoking. Those hungry for revival must listen to this sermon.